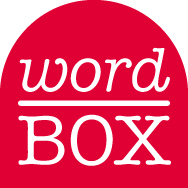 This is the final update for 2015 on contributions to our Word Box, the website feature you can use to alert us to new or unfamiliar words and phrases. These contributions allow us to identify new material for our archive of Australian words, and also for our general Australian Oxford dictionaries. We encourage you to contribute—just click on the Word Box image to the left to post your word. A few of the more interesting contributions from the last three months are discussed below; some are new to us, and some we already know. We welcome any comments about your understanding or experience of these words, and look forward to your contributions to Word Box. dogfood – (of a company’s staff) to use a product or service developed by the company before it is commercially available. Also found in the nominal form dogfooding and in the phrase to eat one’s own dogfood. The phrasal form is found in the 1980s and came to prominence in the computer software sector in the 1990s. 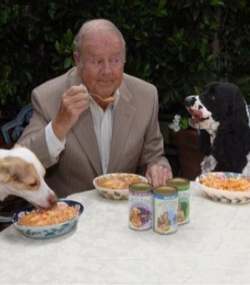 The origin of the term is uncertain, but it may derive from US advertisements for Alpo dog food, in which the spokesperson refers to feeding the product to his own dogs. foolie – a teenager who has not yet finished school but participates in schoolies week activities. In Australia schoolies week is an annual celebration for teenagers (referred to as schoolies) who have just completed their secondary schooling. Often associated with partying on the Gold Coast, the celebrations also attract the unwanted attention of toolies (older men who seek to take sexual advantage of schoolies). Like toolies, foolies are usually unwelcome at these events. Foolie is a relatively recent term. For more about schoolies week see our earlier blog. no-platforming – denying a public platform to a speaker with controversial views. Evidence for this term can be found from the mid-2000s, originally in the UK. This year it made the news when a student at Cardiff University started a petition to prevent Germaine Greer giving a guest lecture, accusing the famous feminist of misogyny following her comments on transgender issues. The lecture ultimately went ahead. preload – to drink alcohol, especially in large quantities, before going out socially. Often in the form preloading, this term is found in Australian contexts from the early 2000s (slightly earlier in British and US English). Preloading before an event is usually done to avoid the high cost of alcohol charged in clubs, sporting venues, etc. skittles party – a social gathering, especially of teenagers, where a range of prescription and over-the-counter drugs are consumed. In recent years there has been a growing trend in the abuse of legal drugs by young people. The term skittles party emerged around eight years ago to describe the dangerous phenomenon of taking drugs from the parental home to add to a ‘pool’ of drugs to be shared among friends. The term skittles derives from the multi-coloured confectionery. 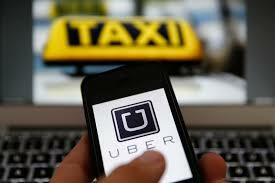 uberfication – the application of the Uber business model to other service industries. In 2011 the start-up tech company Uber officially launched a smartphone app for booking on-demand ride-sharing services. The company is in direct competition with the taxi industry, undercutting costs by using private drivers in their own cars. Uber now operates in hundreds of cities around the world, and its success means that other traditional service industries are now potential targets for similarly disruptive business models, or uberfication. The earliest evidence of the term occurs in mid-2014. unicorn – a start-up company with a valuation of at least one billion US dollars. Evidence for the term can be found from the last five years. It is often associated with technology and venture capital enterprises, and with Silicon Valley. 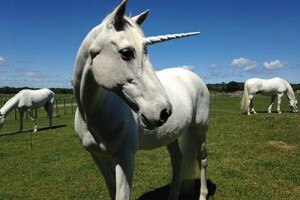 The modern sense of unicorn derives from the mythical one-horned creature, but, while billion-dollar start-ups were originally considered to be extremely rare, they are now becoming more common. This entry was posted in new words, Word Box and tagged dog food, dogfood, dogfooding, eat one's own dogfood, foolie, Germaine Greer, no-platforming, preload, preloading, schoolie, schoolies week, skittles party, toolie, uberfication, unicorn by Mark Gwynn. Bookmark the permalink.